Matthew Slaby, 6, enjoying one of the rides at the Simi Valley Days Carnival Special Children’s Day on Thursday. Matthew Slaby couldn’t decide between the blue cotton candy or the pink cotton candy. So he ended up with both, and a sugar rainbow around his mouth. The wheelchair-bound first-grader from Santa Susana Elementary School was one of about 400 students from the Simi Valley Unified School District to attend Special Children’s Day at the Simi Valley Days carnival. 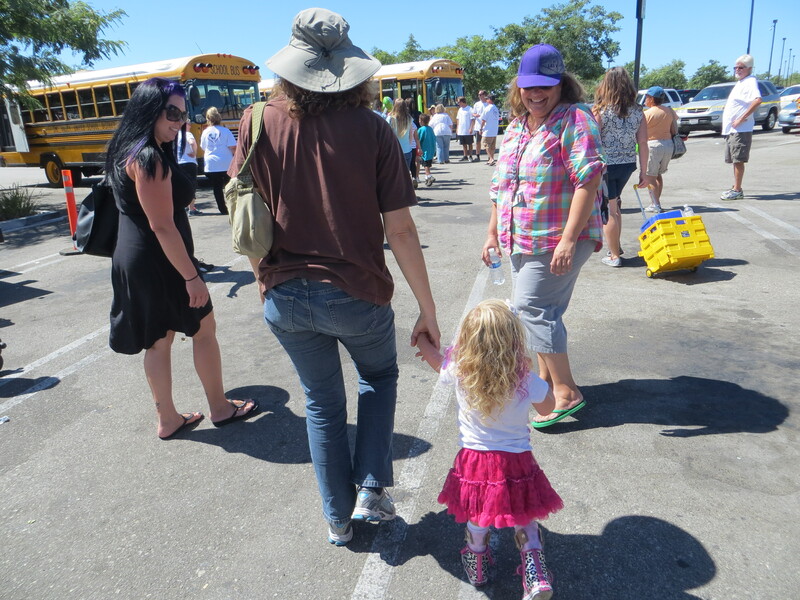 Held Thursday morning on the parking lot at the Simi Valley Mall, the carnival opened for several hours only for the special education students of all levels. Hundreds of volunteers came together to support this event, said Shari Schultz. Schultz, a member of the Simi Valley Days committee, has organized this event for many years. Each year the number of children participating grows. “It’s kind of wonderful,” she said. 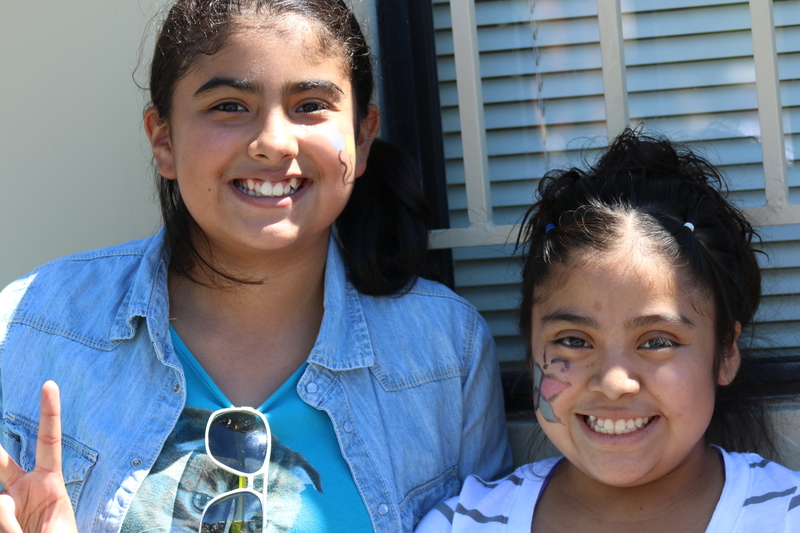 Diana Mata, (left) and Aracely Sosa, both 12 and 6th-graders at Santa Susana Elementary School enjoying their carnival day. Balloon artist enters the Artist was tired but smiling by the end of the event in the early afternoon. “It’s the least I can do for these kids and teachers and parents,” she said. Lorena Soto (left) and her niece, Katrina Martinez, 9, enjoying the last few minutes of the Special Children’s Day at the Simi Valley Days Carnival. Many of the families of these children would not be able to afford a day at the carnival with their kids, said Santa Susana Elementary School teacher Nancy Lachman. “It’s the economics in the home. These families have lots of struggles,” she said. 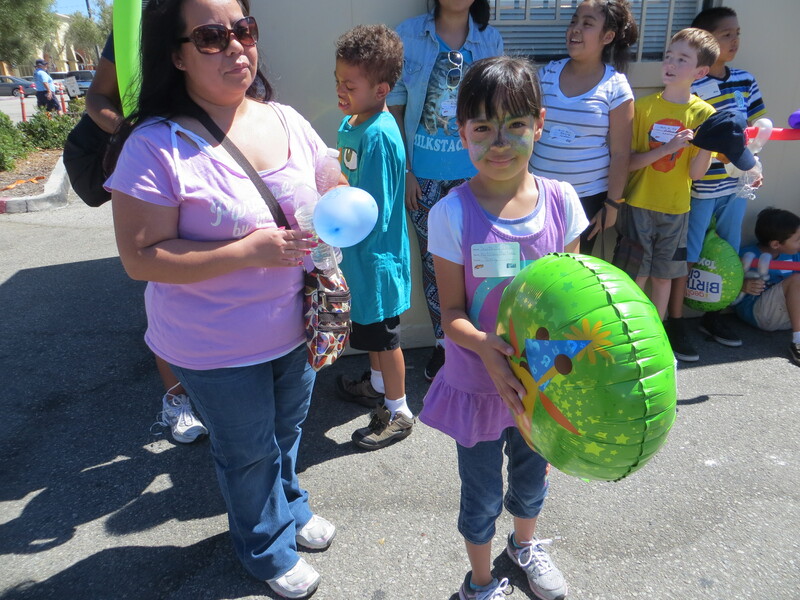 Lorena Soto brought her niece, Katrina Martinez to the carnival with Katrina’s fifth-grade class. She said that they would not have been able to spend the money to bring her niece to the carnival otherwise. It’s not just about the money. Many of the children need extra time to get onto rides, especially those who use wheelchairs or with visual impairments. Because the carnival time during this event is dedicated only to the special education children, the ride operators and aides are able to take more time to work with the children to settle them into the rides. Special accommodations can be made for those needing it where this would not be possible when the carnival is overflowing with crowds. The Simi Valley Days Carnival opened Thursday afternoon to the general public and will run through Sunday. Tomorrow morning (Saturday) the Simi Valley Days Parade will be held. For more information, go to simivalleydays.org. Saying goodbye at the end of a fun day. 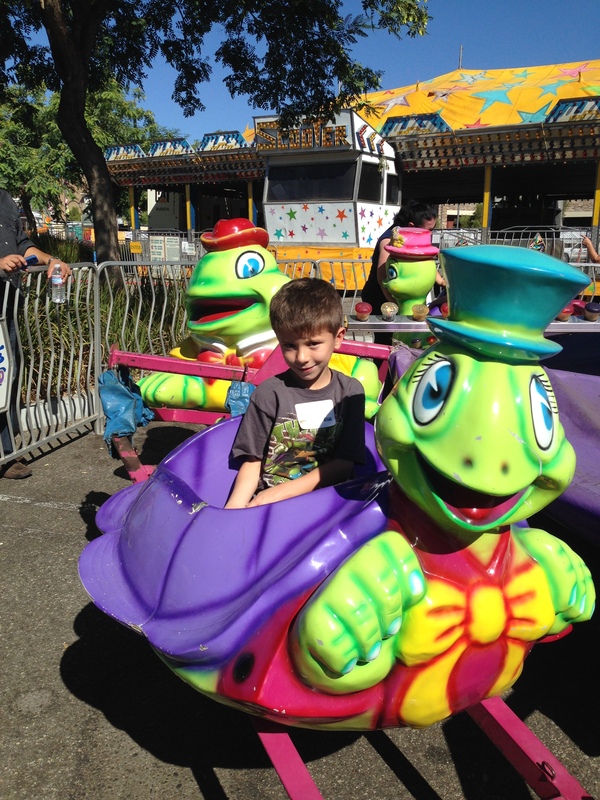 The Special Children’s Day at the Simi Valley Days Carnival is an annual event that’s free to the special education students in the Simi Valley Unified School District.